Tepi Länsivuori working very hard before he arrived at place five after his bad start. 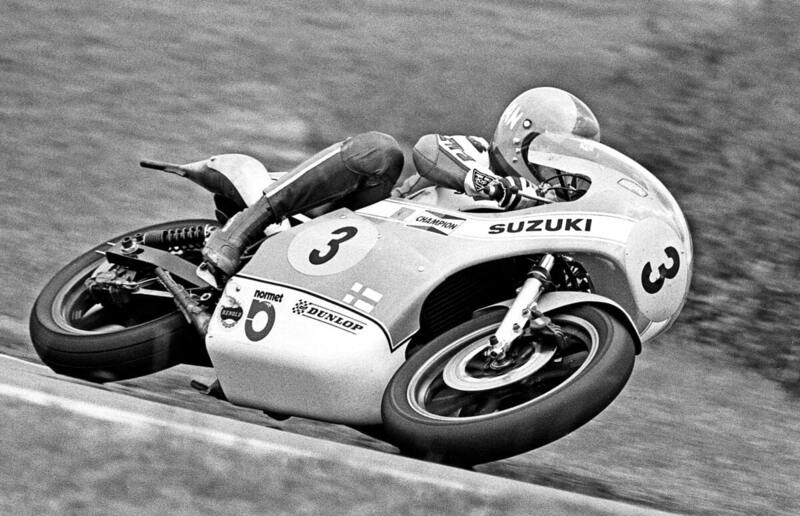 In 1971 he scored three GP wins on the ex-Stuart Graham 125 Suzuki at Spa, Belgium; Anderstorp, Sweden and Imatra, Finland. He’d even won the 50cc GP in Brno, Czechoslovakia, as guest rider for the Van Veen Kreidler team, but his results during the following years on the continent were a faint shadow of that successful season.